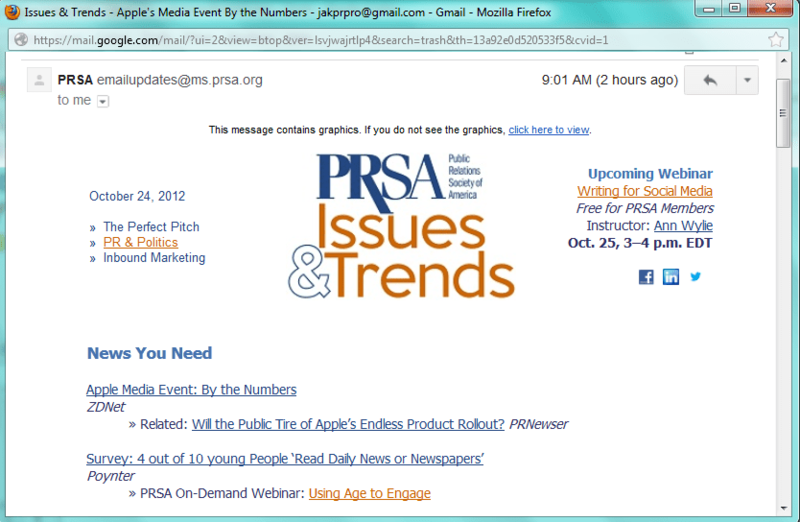 Yes, the email newsletter is still an important tool for your communication arsenal. It is a direct way to reach your customers without the interference of any gatekeepers. With increasing use of mobile devices to access email, it is time to ensure that your email newsletter is readable on tablets, phones and other small-screen devices. Now there is great guidance available. Useit.com has just published a study on usability of mobile email newsletters. The predominant usage is cross-platform subscriptions, where people sometimes consume a newsletter on the computer and sometimes on mobile. Given this dual-platform reading, a choice between desktop and mobile versions of an email newsletter is not recommended. Use responsive design and other techniques to adapt a single newsletter to various platforms. Pinterest’s newsletter offers a good example of responsive design: It displayed in 3 columns when opened on a desktop computer, and in 1 column when opened on a mobile phone. Change the link destinations depending on the user’s current platform. If a user is reading the email on a phone, links should point to mobile-friendly pages. If a user is reading the message on a computer, links should point to the full site so that users will see desktop-optimized pages. If you can’t use responsive design for your email template use a single-column layout. A one column newsletter is a good approach to ensure accessibility on mobile devices. This is something we’re currently working on with our enewsletter. We’re going to test a new, more mobile-friendly design against our current 2-column design. Really excited to see the results of that test!